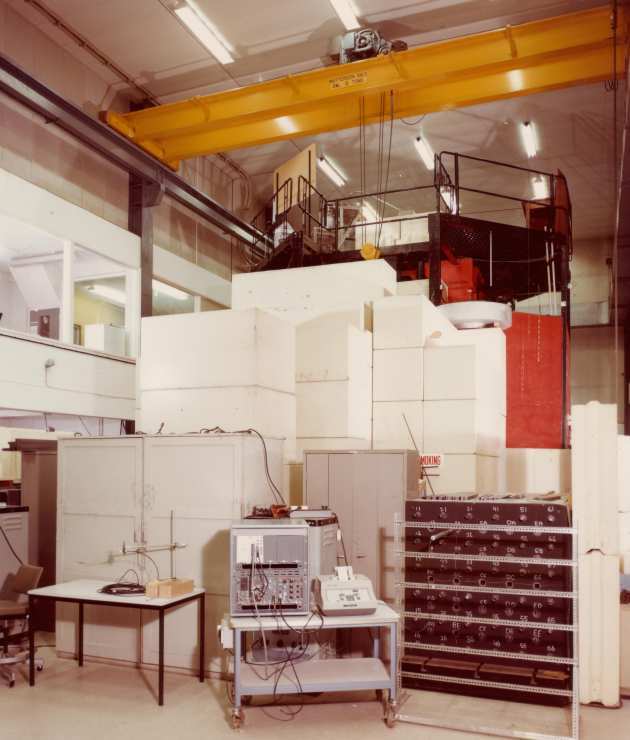 It’s 50 years since the official opening of the University of London Reactor Centre housed at Imperial’s Silwood Park campus. Silwood Park is located about 25 miles West of Central London, near the village of Sunninghill, Ascot, Berkshire. On 22nd June 1965 the official opening took place with the Principal of the University of London, along with the Imperial College’s Rector Sir Patrick Linstead, Pro Rector Sir Owen Saunders and Chairman Lord Sherfield. 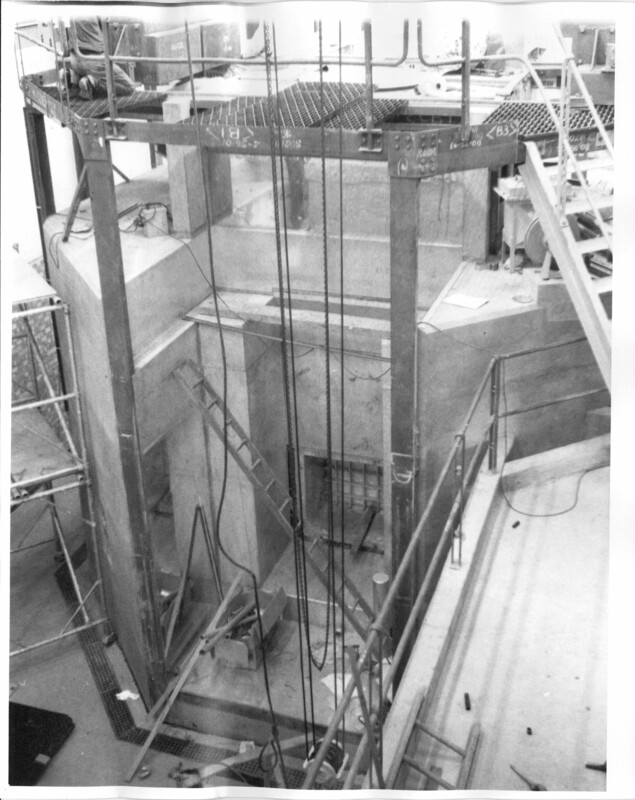 In 2011 the process application to decommission the ‘GEC 100kW Consort’ reactor was started and is being continued today. Sadly, although the archive has BBC Footage shot at the 1965 opening ceremony, it’s minus the sound track, so the on-screen presentation and interviews mean very little. That’s rather a disappointment as it captures a key part in the college’s history. 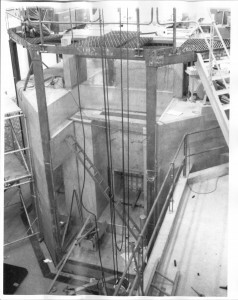 The photo on the right is during construction. 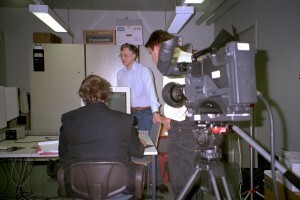 What I do have is a segment from the 1982 documentary that I made about Silwood Park and fortunately we shot a section about the reactor and its operation. Tracy Poole spoke with Dr McMahan a lecturer in Physics about the operation of the reactor centre. 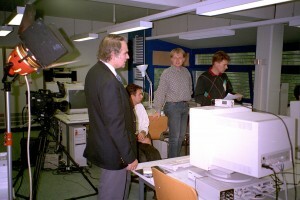 We shot inside the main reactor hall, control room and experiments lab. I’m so glad we did this because it will be the only archive material shot about the reactor before it eventually disappears for good. Because it’s a ‘pool type’ water cooled and water moderated reactor it’s possible to open the reactor up and seen inside the core (yes it’s true). Then you will see a bright blue glow caused by the Cherenkov radiation. The image on the left show this glow which I witnessed myself when I took the shots for the video whilst standing on top of the reactor. When we made this video the reactor centre was still relatively new and only 17 years old, now it’s celebrating 50 years! As indeed I do myself, later this year, with 50 years of working at (and since early retirement, occasionally with) Imperial College! Below is the documentary extract about the reactor centre and also some lovely aerial helicopter footage we had shot, which shows the beautiful Silwood Park campus. 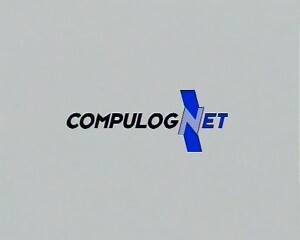 In 1996 we were asked to produce a promotional video for Compulog Net, Europe’s Network of Excellence in Computational Logic. Imperial College was one of eighty or more ‘nodes’ of this network and also acted in a managerial role. 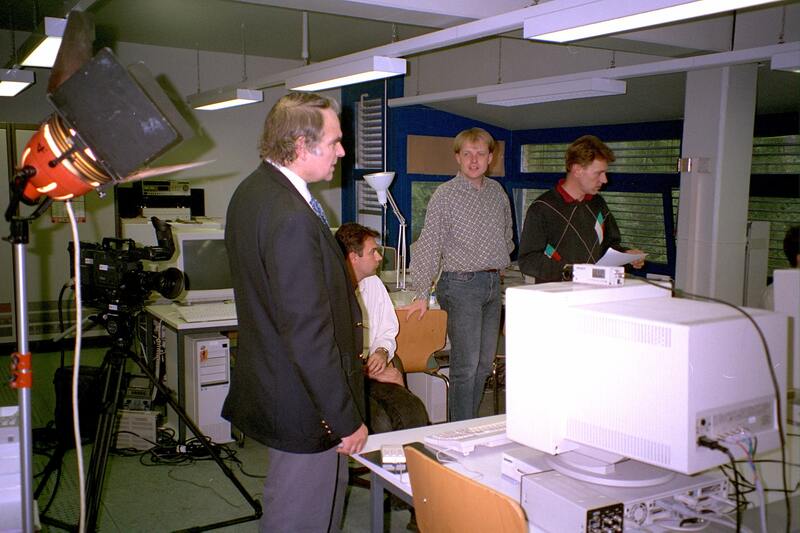 Making “The Benefits of Logic Programming” was to take us to locations in the UK, France and Germany over several months. One of the biggest problems to overcome was the packing-up and transportation of the camera equipment from Imperial to locations in Europe. Extra baggage weight on aircraft and customs are things I prefer to not get involved with. The number of forms that needed to be completed, to prove to customs that we actually owned the equipment and were not trying to export/import it, was ridiculous. However, it was all overcome and we shot the required footage as planned. There were only a few occasions when we went overseas and it’s such a pity that more departments with projects linking into Europe didn’t make professional videos like this one, especially with the potential of YouTube these days. My colleague Martin Sayers had only been with me a day or so before we went off to France to shoot some video, a nice way to start a new job! 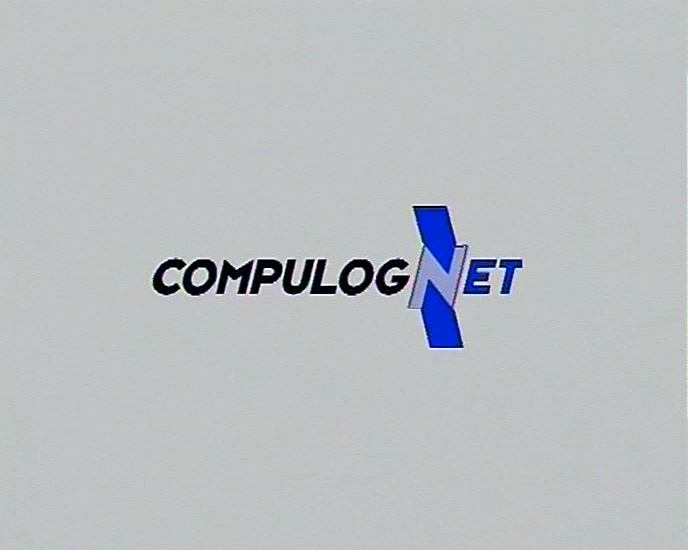 A favourite person to record our voice-overs was Michael Rodd, formally of BBC’s Tomorrows World and as usual he did an excellent job for the Compulog Net video. Michael now runs his own company Lipfriend Rodd. I shot the photos, above, whilst we were in Germany at the DFKI in Saarbrücken.